Home Do I Need an Appointment? Whether or not you need an appointment depends on what you want to accomplish at your visit. 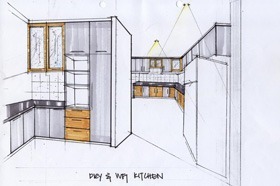 Our kitchen design studio and showroom is quite large, and it is open to the public for browsing. You will see 50 or so kitchen vignettes in a wide range of styles (As many styles as we show, it’s still just a relatively small sliver of styles we can create for you). We also have dozens of door samples and paint-and-finish-style samples. You will see samples of the several different brands we offer. We also have a large countertop display and sample room. Want to Browse at Your Own Pace? You do not need an appointment to come in and browse. If you are just beginning to consider a project, a casual showroom visit often helps people grasp the variety available and start to narrow down which styles they like and which ones they don’t. Ready for a One-On-One Meeting? If you want to talk specifics about your project and you can bring basic measurements of your space, call us or click here to request an advance appointment. This allows us to offer you the focused attention you will need for a great start and the best Carole experience. This meeting takes about one hour and is a ‘deep-dive’ into product and design options. For more about what to bring to this meeting, read our DESIGN GUIDE. Once you are ready to book that first appointment, here’s what to bring to maximize your complimentary design consultation in the Carole showroom. Any photos of kitchens or styles you love. (Houzz.com is a fantastic resource for idea-collecting and browsing styles!) Check out the Carole’s page on Houzz to see many local projects Carole’s has completed. Wish lists. What are your priorities for incorporating into your new kitchen? 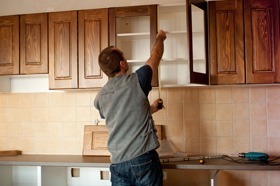 What do you dislike most about your current kitchen space…frustrating things that you want to fix for this kitchen? How do you use your kitchen? Do you cook all the time or hardly ever? Do you have many small specialty appliances? How much do you need to store? Do you want a wine fridge? An island or peninsula? A docking station for devices? A spot to have a laptop? Your cabinetry/countertop budget. If you tell your designer what range you want to stay within, this will help him or her target the best line of cabinetry and find the best value, based on your design and investment priorities. Carole’s is unique in that the breadth and depth of cabinetry options we have allows us to help customers across a quite large range of investment goals. Basic measurements of your room (or, if you’re building new, bring your floor plans from your architect or builder). See our Design Guide for exactly which basic measurements you’ll need to get the most from your complimentary first consultation and design. 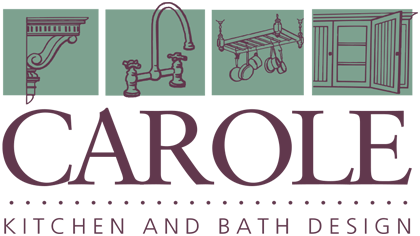 Do I Need to Choose an Installer/Contractor Before Starting at Carole’s? 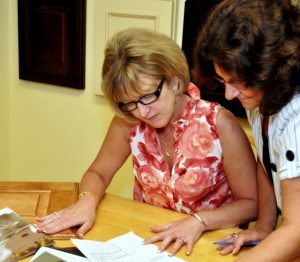 When your cabinetry arrives, if there are product or material issues regarding the cabinets from Carole’s, we will collaborate with you and your builder/installer to resolve those. 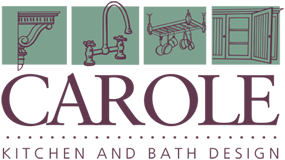 To help facilitate a quality installation, a Carole designer will be happy to meet the installer at your home to review the cabinetry design and details of your kitchen design plan. Excellent communication is an essential ingredient throughout the entire process—between you, your designer, and your installer/builder/contractor. Carole designers are known for their detailed and thorough design plans. We are happy to provide references from local builders with whom we work who can attest to our designers’ professionalism and skill and detailed cabinetry design plans.